Henrico County, VA — Governor Ralph Northam announced that Facebook will invest an additional $750 million to expand its data center in Henrico County. This investment is in addition to the $1 billion investment in Henrico County that Facebook announced last year. The company will construct three new 500,000 square-foot buildings, bringing the planned total square footage to over 2.4 million square feet. Milville, KY — At the opening of Castle & Key Distillery, Governor Matt Bevin congratulated the company’s leaders on their $30 million renovation – a project expected to create 100 jobs in the coming years – and welcomed the public’s return to the restored, long-dormant grounds of the former Old Taylor Distillery Co. in Woodford County. Martinsville, VA — Governor Ralph Northam announced that Monogram Food Solutions, LLC, a Memphis-based manufacturer of value-added meats, will invest $30 million to expand its manufacturing operation, Monogram Snacks, in Henry County. The company will expand its product lines to accommodate new and expanding contracts. Virginia successfully competed against six other states for the project, which will create 300 new jobs. Birmingham, AL — Interstate Industrial Park has received AdvantageSite Re-Designation for another four years. The park is located along I-65 in Montgomery. 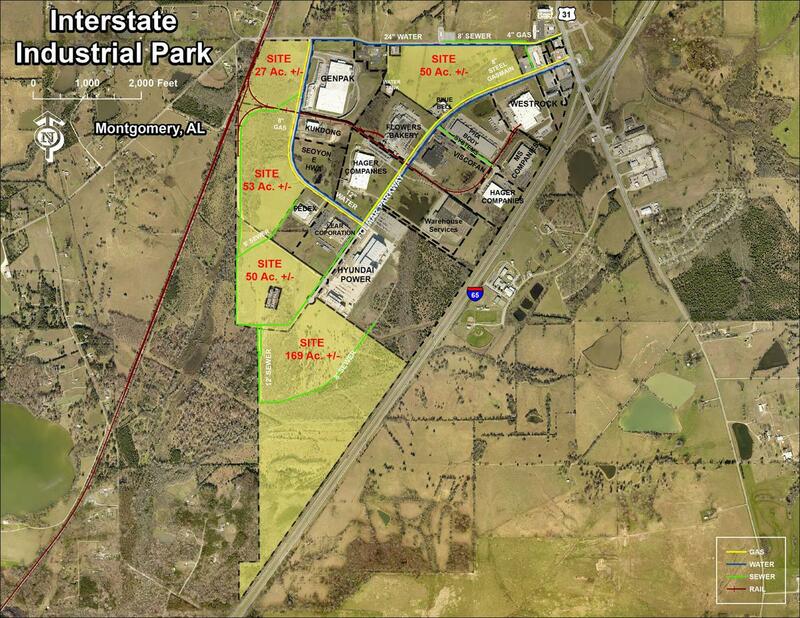 The total acreage of the industrial park is 700 acres with 350 acres still available. Two projects have located in the industrial park since receiving AdvantageSite designation. Columbus, NE — Earlier this month, Governor Pete Ricketts attended a ribbon cutting in Columbus to celebrate the grand opening of Nebraska-based Prairie Catalytic, LLC’s new $50 million bio-based ethyl acetate production facility. Prairie Catalytic, a subsidiary of Greenyug, LLC, is a leading manufacturer of renewable chemicals. The new facility will produce ethyl-acetate — a chemical found in dozens of common household products — by way of a proprietary manufacturing process that utilizes ethanol produced from Nebraska corn. Little Rock, AR — Aerojet Rocketdyne, a leader in the development and manufacture of aerospace and defense products, announced plans to expand its Southern Arkansas facility near Camden, where the company manufactures solid rocket motors and warheads critical to national defense. Aerojet Rocketdyne’s currently envisioned expansion plans include investing in new infrastructure and creating more than 140 new jobs over the next three years. The growth would bring total employment to approximately 900 employees at the facility. Working in partnership with Arkansas Economic Development Commission (AEDC), Calhoun and Ouachita Counties, more than $50 million dollars will be invested in the expansion. Frankfort, KY — Sister Schubert’s Homemade Rolls Inc., a major producer of frozen dinner rolls, has announced a $50 million phase I expansion of its manufacturing operation in Hart County expected to create 72 full-time jobs.